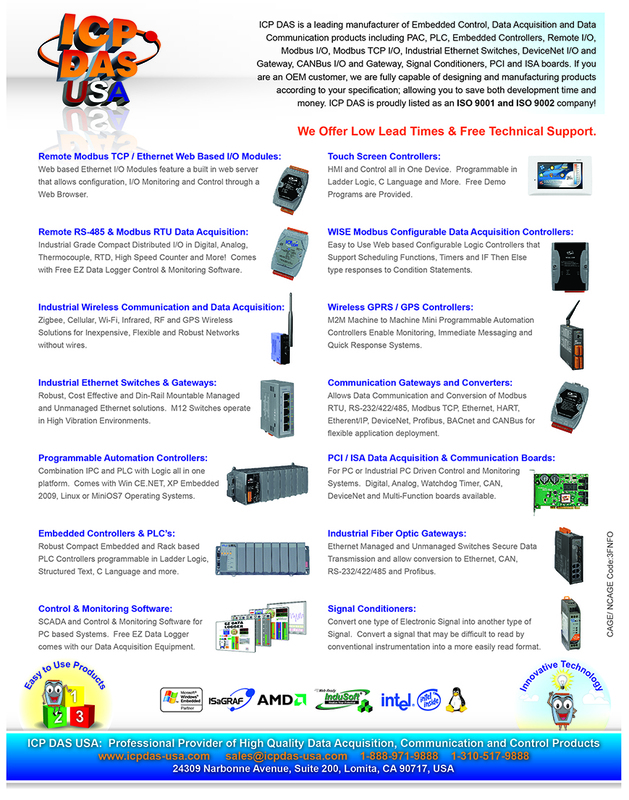 The G-4500 series provided by ICP DAS are M2M (Machine to Machine) mini programmable controller are widely praised and loved in the world. Now, we provide the G-4500-3GWA series built-in a Tri-band 3G module to support UMTS, HSDPA, HSUPA, GSM and GPRS. 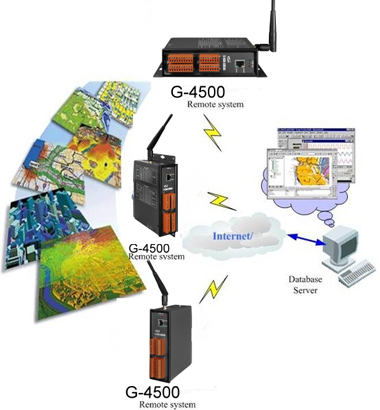 With a powerful processor to optimize performance on advanced broadband data networks, the G-4500-3GWA series is widely applied in various applications like hydrographic monitoring, intelligent power, flow meter report system and GPS car-tracking system. 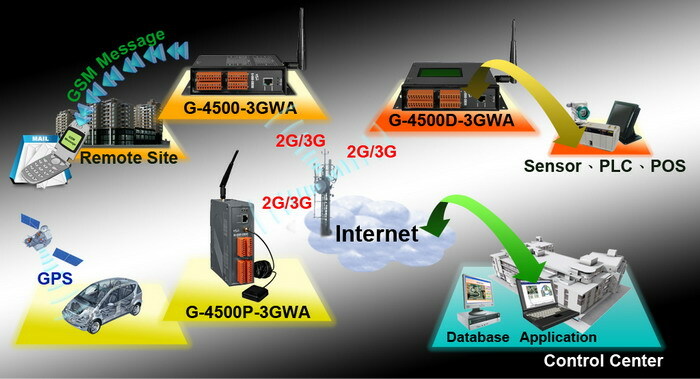 Therefore, the G-4500-3GWA is a flexible platform for industrial wireless platform to 3G technology applications. 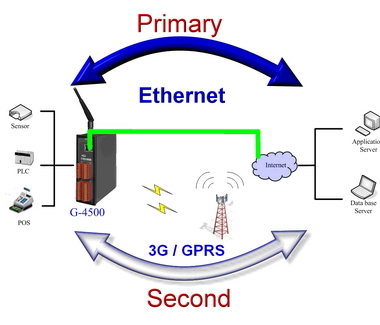 In traditional application, users need a master controller to integrate a telecommunication modem with developing cellular programs into the host. That would waste much time to integrate the various communication interfaces. 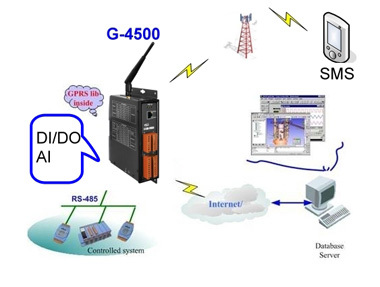 Now, we have G-4500 series to solve the hardware integration problems with easy-to-used libraries. 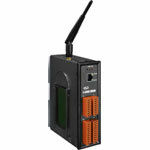 The G-4500 series built-in MiniOS7 provide the same development environment with I-7188/I-7186 series. It is easier for I-7188/I-7186 users to apply the G-4500 series. The G-4500 series applications can be divided into 2 parts: One part is the fixed intelligent remote management equipment such as water monitor system, vending machine system, remote machine monitor, home security, POS system, power measurement system and etc. 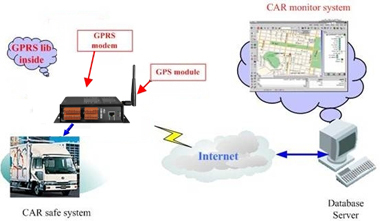 Another kind of application is movement management equipment such as vehicle management system, maritime system, taxi dispatch system, and etc. Anyway, the G-4500 can save the cost and development time for users.